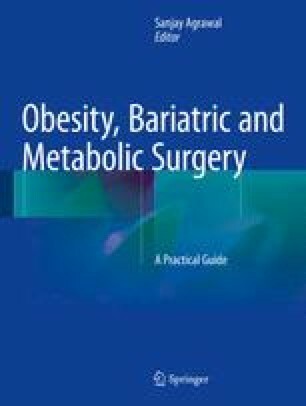 Sleeve gastrectomy (SG) was initially performed as the first part of a two stage bariatric procedure for duodenal switch. However, its success in achieving significant weight loss on its own was soon recognized. SG is now increasingly gaining popularity throughout the world, especially in Asia and USA. This procedure is generally performed using 5–7 abdominal trocars, but can also be done through a single-incision laparoscopy (SIL) performed at the umbilicus. A proper selection of patients is required. In this chapter, a specific developed technique of trans-umbilical SILSG using complete reusable material (except for linear stapler) and curved instruments is described. The online version of this chapter (doi: 10.1007/978-3-319-04343-2_36) contains supplementary material, which is available to authorized users.